Welcome back Nokia 3310, we missed you. Starting today, you can head up to Safaricom shops and by your most beloved Nokia 3310 for Kshs 5,299. In addition to reintroducing the now forgotten Nokia 3310, HMD Global also came up with three Nokia branded smartphones – the Nokia 3, Nokia 5, and Nokia 6. Let us start with Nokia 3310. 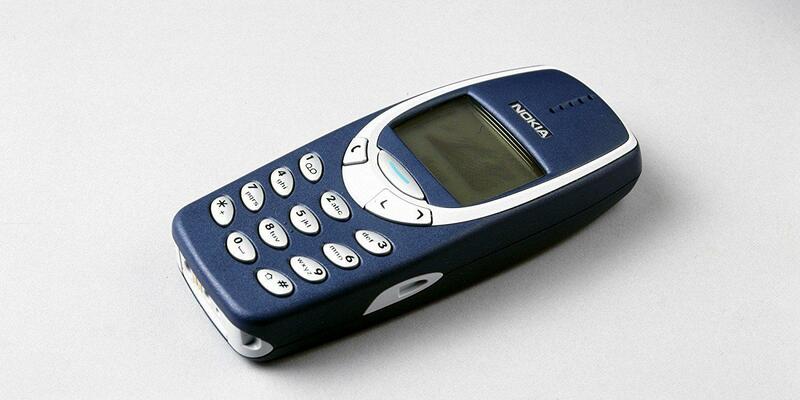 2004 June, that’s when I bought my very fast phone, a Nokia 3310, for Kshs 4,000. It was a second hand phone. My good friend who sold it to me has since passed on (may his soul RIP). I used the phone for one year and lost it. My second phone that served me for hardly a month was also a Nokia 3310 – and so was my third phone. Basically I used several Nokia 3310s well into 2007 when I bought the smartphone precursor – a Nokia N70. By the time I moved to the Nokia N series, the price of Nokia 3310 had dropped to around Kshs 3,000. Nokia 3310 was a popular phone, so popular that if you are not a millennial, chances are your first phone was a Nokia 3310. The trend wasn’t limited to Kenya or Africa where cellphone users needed mobile handsets whose battery power could potentially last forever, but everyone, wherever they were in the world, had a reason or two to prefer the then most popular handset – the handset that drove Nokia into becoming the biggest mobile phone manufacturer globally. That’s why when HMD global, after acquiring the rights to make Nokia branded phones, decided to relaunch this previously beloved handset. Interestingly, the new Nokia 3310 has very little similarities with the now defunct Nokia 3310. The Nokia 3310 (2017) edition is so different from the original both physically and features wise, that some of us wonder whether the new handset deserves that iconic Nokia 3310 brand identity. It has a battery that can last you up to a month – well, that’s on standby mode. It brings back that classic Snake game. Has 2.4” polarized and curved screen. Comes with 2 MP camera with LED flash, original had no camera. You can get a dual SIM version. 16 MB storage plus a MicroSD card slot with support up to 32 GB. Don’t confuse the 16 MB storage with 16GB of standard entry level smartphones. The phone retails at Kshs 5,299 in Safaricom shops. If you’ve been out there shopping for a prime designed phone at a budget, then Nokia 3 is the phone you have been looking for. 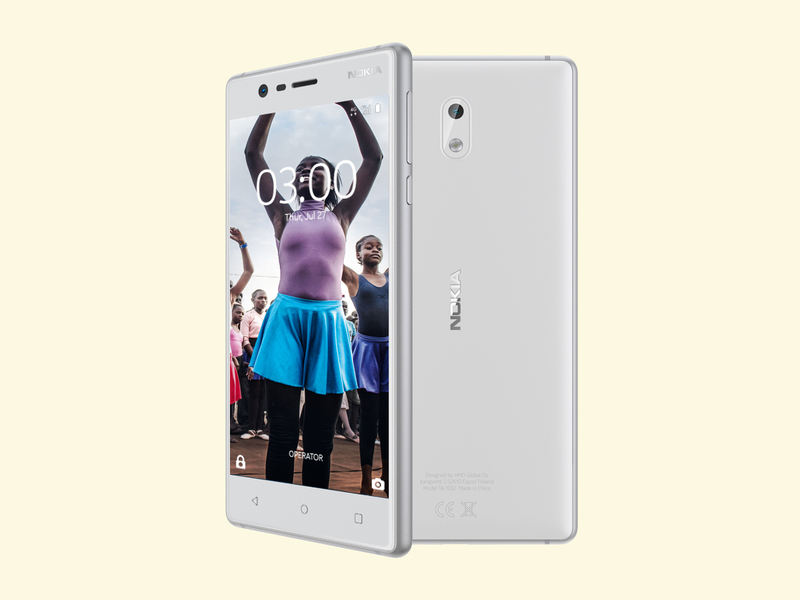 Aesthetically Nokia 3 may be wanting, but for Kshs 14,999 the phone sits well above many entry level smartphones, both by built and feel. Holding the phone in hand feels solid, real, and authentic. It’s 143.4mm x 71.4mm x 8.48 mm makes the phone fit perfectly in one hand. The features of the phone including its 8MP rear camera, the HD display and corning gorilla glass protection are well above average. Although the phone is made of polycarbonate back, the frame is of aluminium that HMD says offers the phone an “optimized performance for everyday use”. Just as the Nokia 3310 (2017), Nokia 3 also comes with single and dual SIM options, and this being a smartphone, the total internal storage is 16GB but the phone allows you to expand the storage with up to 128GB SD card. The sensors in Nokia 3 include the accelerometer, gyroscope and NFC. Good news, this entry level smartphone is a 4G (LTE) handset powered by Android Nougat, but the first Nougat Android 7.0 which has few performance issues. Hopefully the device will receive an update to Android 7.1.1 which is practically the best mobile phone operating system in the market today. But don’t you get worried, even the high class Samsung Galaxy S8 still has the first version of Android Nougat. Nokia 3 battery is average, offering slightly less than a day’s juice meaning you should be able to get the phone to take you through the day. It’s 2630 mAh battery should however be of service for at least 18 hours at sparing use – just make sure the phone is not always on full brightness or locked on 4G. Remember Nokia 3 is available in Safaricom shops for Kshs 14,999. 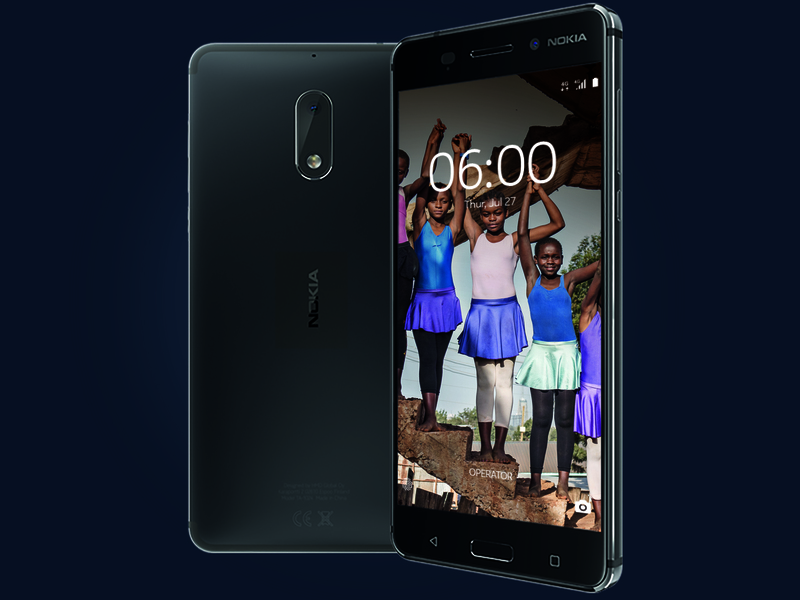 Nokia 5 is that classic mid range gadget that comes at 5.2 inches embedded with some modern day smartphone features such as the fingerprint sensor, metal body, 13MP rear camera, 8MP wide angle selfie camera, and true HD display. Also available in single SIM and dual SIM variants, Nokia 5 is powered by one of the latest generation Qualcomm processors – the Snapdragon 430 processor designed for excellent battery life and improved graphics. The better battery life is also is also assured by incorporation of a 3000 mAh power house, which should take you for at least 20 hours on full charge – but on average use. Just like the Nokia 3, Nokia 5 also has the 13MP rear camera and a wide angle 8 MP selfie camera, where the rear camera has a PDAF, 1.12um, f/2 lens with dual tone flash while the selfie one has an AF, 1.12um, f/2, FOV 84 degrees lens. The sensors in Nokia 5 include Accelerometer (G-sensor), ambient light sensor, e-compass, fingerprint sensor, Hall sensor, gyroscope, proximity sensor, and NFC. For the mid range specs, the phone retails at 19,999 in all Safaricom shops across the country. 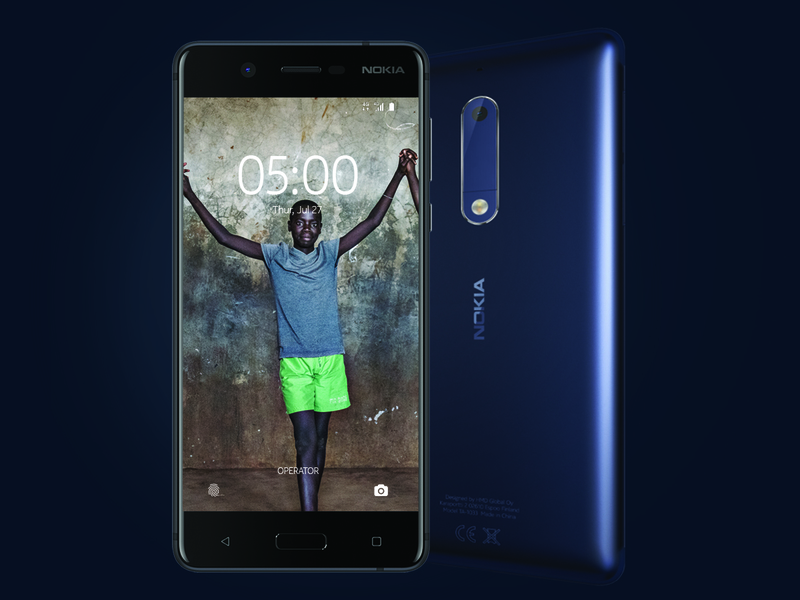 Last but definitely not the least of Nokia phones launching today is the Nokia 6, another mid range device whose main points for departure from Nokia 5 is the RAM (4GB), Android Nougat version (Android 7.1.1 – the very latest Android available only on Google Pixel phones is the Android 7.1.2), display size which is 5.5 inches, and rear camera that has more pixel counts at 16MP up from 13MP of both Nokia 5. Other features of Nokia 6 include an amplifier tech for music lovers which features Dolby Atmos for surround sound quality (the phone has dual speakers for god’s sake), an expanded network bands that include GSM 850/900/1800/1900; WCDMA 2, 5, 8 and LTE 1, 3, 5, 7, 8, 20, 28, 38, 40 bands. Given that Nokia 6 is a 5.5 inches device, the size of the phone is at 154mm x 75.8mm x 7.85 mm, making it a bit slimmer hence aesthetically more beautiful. The body of the phone is made of precision-milled aluminium at the back and a corning gorilla protection in the front. For these and more, you’ll get the phone for Kshs 24,999 in all Safaricom shops countrywide.